Denver’s old-school business establishment tipped its hat this week to the leaders of the city’s burgeoning entrepreneurial scene. Galvanize, the coworking space that’s quickly become the hub for Denver’s top tech startups, and Denver Startup Week both received awards from the Downtown Denver Partnership, one of Colorado’s largest economic vitality groups. The annual awards historically go to corporations, universities, museums, nonprofits, and real estate developers who are behind major urban redevelopment projects. It’s a glitzy event with a celebration at a chic downtown hotel that brings together Colorado’s top business leaders. 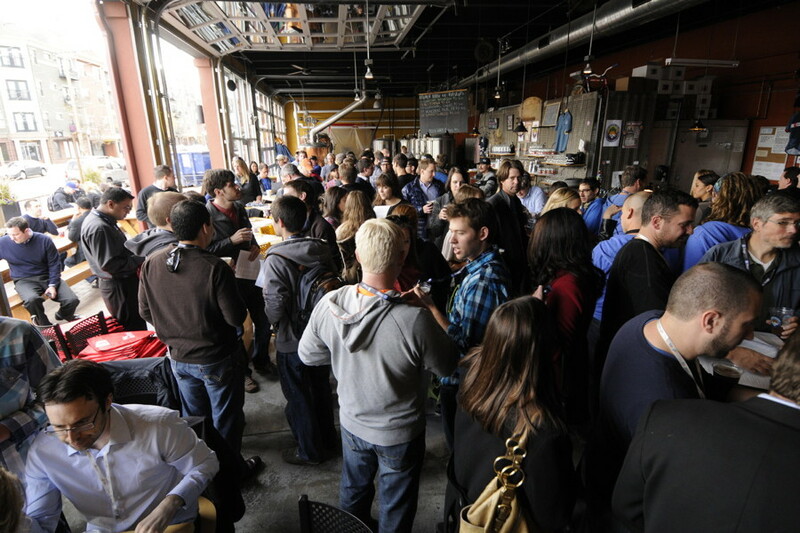 Which, in the organization’s eyes, now include Galvanize and Denver Startup Week. Galvanize and its co-founders Jim Deters, Tony Mugavero, Chris Onan, and Lawrence Mandes were honored for creating an epicenter for emerging companies. “With constant media buzz, Galvanize is a new breed of company that is creating an innovation ecosystem right here in Downtown Denver. By offering a space for work, an active support network, opportunities for capital and education, Galvanize is leaving no need untouched for entrepreneurs,” its award citation said. “Projections were exceeded and events overflowed with more than 3,500 startup community members engaged in over 70 community-driven events celebrating everything entrepreneurial in the Mile High City. The event shed light on Denver’s vast startup community made up of [more than] 500 active startup companies, who were involved in events, seminars, and panels over the six-day period. The celebration attracted some of the best and brightest speakers that focused on topics like technology, design, social entrepreneurship, and business,” the citation said. Denver Startup Week returns this year and will run from Sept. 16 to 21. It’s already trying to organize events and find partners. Videos paying tribute to Galvanize, Denver Startup Week, and the four other award winners can be watched here. The awards dinner was Wednesday night and attended by more than 900 people, according to the partnership.